In an age where the amount of data collected from brain imaging is increasing constantly, it is of critical importance to analyse those data within an accepted framework to ensure proper integration and comparison of the information collected. This book describes the ideas and procedures that underlie the analysis of signals produced by the brain. The aim is to understand how the brain works, in terms of its functional architecture and dynamics. This book provides the background and methodology for the analysis of all types of brain imaging data, from functional magnetic resonance imaging to magnetoencephalography. Critically, Statistical Parametric Mapping provides a widely accepted conceptual framework which allows treatment of all these different modalities. This rests on an understanding of the brain's functional anatomy and the way that measured signals are caused experimentally. The book takes the reader from the basic concepts underlying the analysis of neuroimaging data to cutting edge approaches that would be difficult to find in any other source. Critically, the material is presented in an incremental way so that the reader can understand the precedents for each new development. This book will be particularly useful to neuroscientists engaged in any form of brain mapping; who have to contend with the real-world problems of data analysis and understanding the techniques they are using. It is primarily a scientific treatment and a didactic introduction to the analysis of brain imaging data. It can be used as both a textbook for students and scientists starting to use the techniques, as well as a reference for practicing neuroscientists. 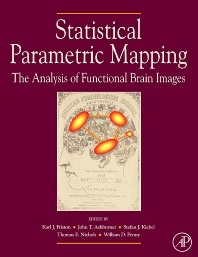 The book also serves as a companion to the software packages that have been developed for brain imaging data analysis. Scientists actively involved in neuroimaging research and the analysis of data, as well as students at a masters and doctoral level studying cognitive neuroscience and brain imaging.